I created a circle, selected it and went to Edit > Clone > Create tiled clones. 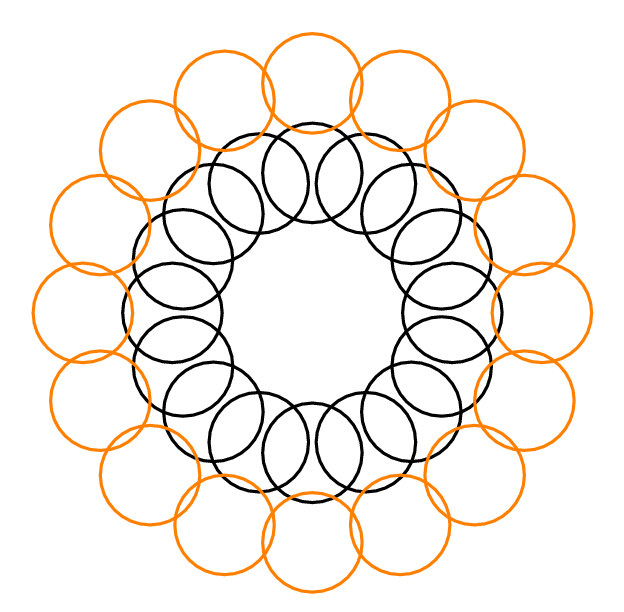 I searched under "symmetry" but didn't find a rotation of 22.5 degrees (which is the rotation required to create the above image) - only 60 degrees. 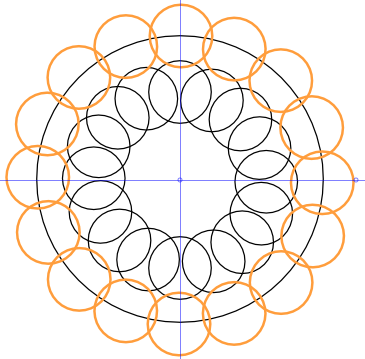 I went to "Rotation" and set the "per row" rotation to 22.5 degrees, but only got a grid of 5-by-5 circles (probably each circle was rotated in place). 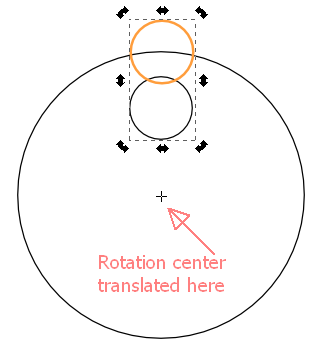 The fastest way to obtain such an image is to translate the rotation center of the initial object and then proceed manually by duplicating and applying a transformation (rotation in this case) to the last duplicate. Alternatives are possible using symmetry (see Radial placement with Tile Clones tutorial), but you need to tweak a little to obtain this image. Further examples are here and here. Draw one circle. 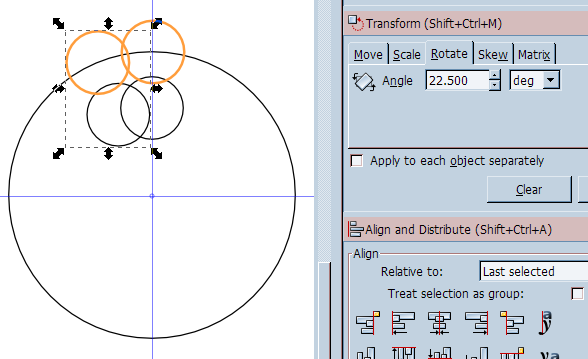 Duplicate it and move it so that you have two circles set to the diameter you are looking for. 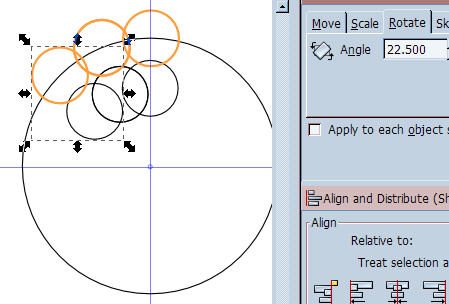 Now you can clone this group and rotate around it's own grouped center point. clone group c and rotate 17.5 degrees. clone group c again and rotate -17.5 degrees. How can I emulate these paths? Can I create rotated (skewed) guides/grid in scribus?